We’d love your help. Let us know what’s wrong with this preview of Her Forbidden Rockstar by Sarah Robinson. The second book in the Forbidden Rockers series from bestselling author Sarah Robinson, Her Forbidden Rocker is a gritty story of triumph and failure as one man risks everything he's ever worked for to have a chance at true love. Logan Clay has never met a woman who wasn't only after the perks his rockstar life could provide, and there are a lot of perks. Women, money, fam The second book in the Forbidden Rockers series from bestselling author Sarah Robinson, Her Forbidden Rocker is a gritty story of triumph and failure as one man risks everything he's ever worked for to have a chance at true love. Logan Clay has never met a woman who wasn't only after the perks his rockstar life could provide, and there are a lot of perks. Women, money, fame...it's all he ever wanted. Not only does she want for nothing, but she doesn't want anything to do with him, period. He sure as hell wants her, but convincing her to take a chance on him requires risking everything he's ever worked for...including his music. It's a chance at a love he never thought he'd have. And a chance at freedom he's not sure he deserves. If only she'd say yes. DISCLAIMER: This book was originally published in September 2013 with the title "Sand & Clay" by Sarah Robinson. Since then it has been re-edited, a few short scenes here and there added in, and given a new title and a new cover in order to improve the novel. This is the OLD version. 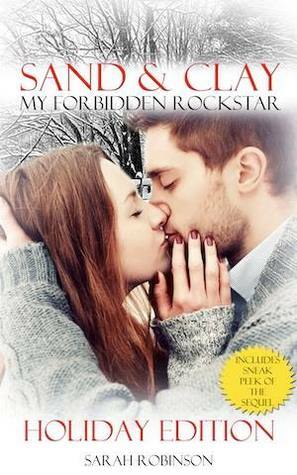 To ask other readers questions about Her Forbidden Rockstar, please sign up. 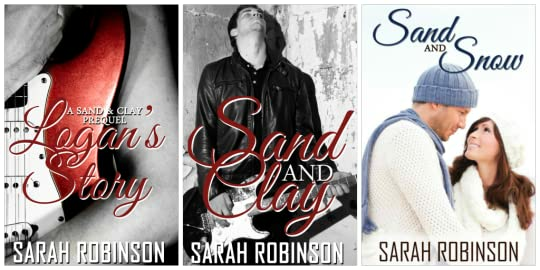 Sand and Clay: Her Forbidden Rockstar is book #1 in the Sand & Clay series by Sarah Robinson. We first met Logan in the prequel, Logan’s Story, when he was a poor, starving musician. This book starts up several years later and he isn’t poor or starving any longer. Logan is a huge rock star living in New York. His life, though, hasn’t really turned out the way he thought it would. He’s still with Gina but their life together has lost any semblance of the love they once shared. Gina is harsh and controlling, planning each and every detail of Logan’s life. He is grateful to her and knows he owes her his career not to mention what she did for his mother. But there is no more love. And as much as he loves playing his music, it’s more like just a job now. The magic he once felt is gone. He has found a new passion and outlet for his artistry, painting. It’s on one morning sitting in a coffee shop with his hat pulled low so no one would recognize him, that his life was forever changed. He just wanted some solitude so he could do some writing. That’s when Caroline Sanders entered his life. That’s the day he realized what was missing from his life that he needed back in it again, Love. Caroline Sanders grew up in a well to do family. Her father put her through law school and has one wish for her and that is to be a lawyer. She is dragging her feet, though, and is currently working as a paralegal at a law firm. 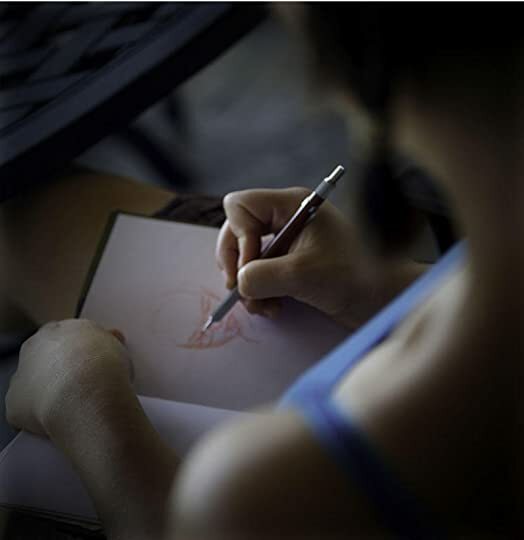 Her real passion is sketching. Her real dream is to draw illustrations for books. Her daily routine is to stop in the coffee shop every morning on her way to work. That is where she first met Logan Clay! Logan and Caroline’s connection was instant, but the timing was wrong. Logan was still tied to Gina, both relationship wise and legally since he was still under contract to her company. He is also scheduled to leave soon for a six month international tour. The interactions they do have give them both a glimpse as to what they could have together but Logan has so much to work out before Caroline can be a part of his life. I have to admit that I was a little bit stressed out with this book. These two were just so good for each other but nothing was on their side. Sarah Robinson kept me in suspense right up to the very end to see how it would all work out, but it was well worth the wait. This was a great story of finding your soul mate, your other half. But even though they found each other once, will Caroline and Logan find their way back to each other again? Love romance and rockstars? Pick up the second installment of the Forbidden Rockers series today! Exclusively on Kindle Unlimited, this entire series will leave you smiling. I enjoyed this book. I finished reading it in one afternoon. But more then a few times I wanted to smack Logan and Caroline for their choices and outlooks. I know that it was purposely wrote this way and it all fits together as a big picture. You have Logan who in the start doesn't know what to do. Doesn't know who he wants. When he meets Caroline he has been in a long term relationship which he fails to tell her about at first. Which puts a rift between them since Caroline stands up for her self and proclaims she will not be "the other woman." I have to say that is one good choice she did make. Logan endss up taking on an International Tour and will be gone half the year. 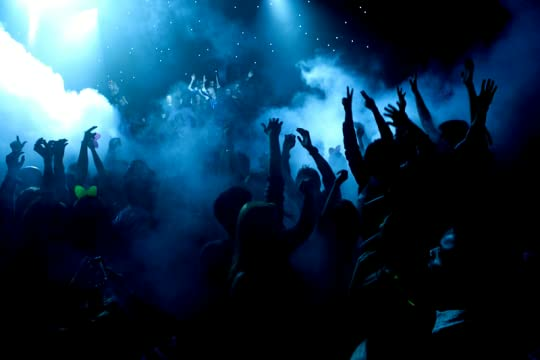 This is when Caroline meets up with Turner, and tries to move past her lust over bad by rocker Logan Clay. There are twist to the story that end up making you feel bad for Turner. He gets bamboozled! I feel really bad for him, mad at Caroline, and hate Logan for finally seeing what they could of had all along. In book two I hope to see a more in depth look at what happened to Logan during his tour. We already know what made Caroline wake up and think about the choices she was making in her life, and that was her mothers story she shared with her. Ok, so I devoured the book in just a couple of hours; I couldn't put it down!!!!!!. 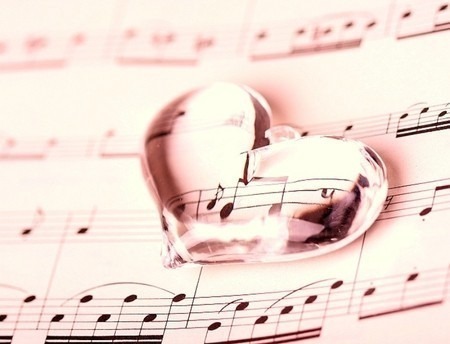 Sarah, I have to congratulate you for your opera prima. This was a lovely love story between two people trying to work it out. I won't be spoiling any details, so those interested in reading this absolute masterpiece, go ahead and find it out. I will adding one more detail thoug, THAT END, I thought I was going to choke when the description of what was going on didn't express what I was looking for or just expect Ok, so I devoured the book in just a couple of hours; I couldn't put it down!!!!!!. I will adding one more detail thoug, THAT END, I thought I was going to choke when the description of what was going on didn't express what I was looking for or just expected. Once I started to read this story I couldn't stop. I loved it! Logan has definitely become one of my many book boyfriends!!! Who doesn't love a rockstar romance? This was a light read but the writing was good and intelligent. The story was romantic and suspenseful, never knew what direction it was going to go. The end really surprised me and I LOVED that about it. This is an awesome author and I just finished her other book *Tainted Bodies* and I highly recommend that to anyone who loves crime and romance and drama! Logan and Caroline have an awesome love story- their characters are in depth and beautiful! Logan is HOT Who doesn't love a rockstar romance? This was a light read but the writing was good and intelligent. The story was romantic and suspenseful, never knew what direction it was going to go. The end really surprised me and I LOVED that about it. This is an awesome author and I just finished her other book *Tainted Bodies* and I highly recommend that to anyone who loves crime and romance and drama! I was provided a complementary copy of Sand and Clay in exchange for an honest review. I was a tad hesitant to continue reading the book initially as I do not care to read about cheating, however I am thrilled I kept reading and in fact finished the entire book in one evening. Sarah truly brought each of the characters to life, I laughed and cried with them and can not wait to read the next book in this series! Where or where to start I absolutely loved this book. I was given a copy by the author and asked to give it a review and I have no problems saying that I read this baby in a couple of hrs. I won't tak about the actual book due to authors requests but I can tell you I rode a very big roller coaster with this but loved it so much. Awesome romance story! Perfect mix of suspense, emotional drama, and intensity. The characters are strong and fully developed and the story is a mix of innocent and exciting all in one! Strongly recommend this to anyone who likes a good romance novel, especially one about a rockstar bad boy! It was a good book all in all, I love me some Rock Stars, and this had them for sure, but it was mostly told from Caroline's view, I would of liked a little more from Logan's. If you want turmoil you will def get it, Logan Clay cannot make up his mind and it seems at times he wants the best of both worlds. But Caroline is not willing to be second to anyone not even a Rock Star. I honestly loved her more and more through out the book. I wasn't to sure how I was going to feel at the beginning she was a bit too spoiled for me at the start. But then you get to know her and she is a very likeable character. She has put up with so much and I think she did it because she thought that was what was expected of her. Logan can't make up his mind and that causes a lot of problems, and then he leaves on a 6 mth tour, and I think that deep inside Caroline wants to wait, but honestly what is she waiting for, as far as she can see all she is waiting for is a cheating man that can't figure out what he wants in life, and if he wanted her then he would be with her. Right? I was happy with the way things played out. Even if they were a little predictable. I had my doubts for Sand and Clay after I reached a certain point in the book. I hated the direction of the book and Logan. He wasn't willing to sacrifice something that he claimed "not to like" to get what he trully wanted. Caroline and Logan had similar personalities and both loved the same thing. A little contrast between the 2 characters would be so much better. They acted in almost the same way on two different cases. Her parents weren't that bad. Honestly I thought the worst of her on page I had my doubts for Sand and Clay after I reached a certain point in the book. I hated the direction of the book and Logan. He wasn't willing to sacrifice something that he claimed "not to like" to get what he trully wanted. Caroline and Logan had similar personalities and both loved the same thing. A little contrast between the 2 characters would be so much better. They acted in almost the same way on two different cases. Her parents weren't that bad. Honestly I thought the worst of her on page 1 when she shared some things about herself because she seemed little a spoiled little girl. The book is not going to be liked by everyone who reads it. If you are thinking of reading Sand and Clay I have to inform you that there is cheating on the book (Note that even a kiss is considered cheating). As the blurb says "Logan has a fiancée after all" but he is attracted to Caroline. And then is Carolines time to find someone " she moves on only to find that real love can't be replaced" so you can imagine what happens. I had read the original version before reading this revamped version. I'm glad I did because I was able to see how it was changed to be made better. I would have given it a 4 star had it not been for the changes. That being said, I waited to leave this review until after I finished Logan's story. I wished I would have read that first. As always, I was hooked right away and could not put it down both times I read it. Another stunning read from Sarah Robinson. Starting off where Logan's Story ended, Sand and Clay feature's Logan Clay who is now a famous rock star but the main character of this story is Caroline and how a chance meeting with Logan in her regular coffee shop changes both their lives. At this point you may say well I know how this story is going to go but Sarah weaves her magic and you truly have know idea which path Caroline is going to choose at right at the end. A beautiful written story that k Another stunning read from Sarah Robinson. A beautiful written story that kept me hooked from being to end like all her books. OMG is all I can say about this book! One of the best I've read in a long time!!! Starting off with Caroline, an awesome woman who loves to make everyone but herself happy meet Logan.... But he's with Gina.... Will they end up together? Or not? Leaves you on the edge of your seat wanting more! I was unable to put this book down from the moment I started it!!!! New Rockstar Romance found on Amazon today! Yes I bought it!!!! I was immediately sucked in by Caroline. I really liked her character. She comes from a affluent family and is feeling pressure from her father to follow in his footsteps and be something that she doesn't want to be. She works a job as a paralegal while she keeps putting off taking the BAR exam. When we first meet her she following her everyday routine and is heading to work but first she stops at her favorite coffee shop and this is where h Once I started this book I just could not put it down! This book grabbed me from page one and never let go. Every time I thought I knew what direction it would go in, WHAM!!!! I love that about great reads. This rockstar read is unlike any I have read. Through the entire book, you find yourself asking, "what would I do in this situation?" Over and over, I found myself looking down at my kindle thinking that I must be near the end of the book to only, happily, realizing that I wasn't even half way though it. Logan Clay is a very successful, spoiled, This book grabbed me from page one and never let go. Every time I thought I knew what direction it would go in, WHAM!!!! I love that about great reads. This rockstar read is unlike any I have read. Through the entire book, you find yourself asking, "what would I do in this situation?" Over and over, I found myself looking down at my kindle thinking that I must be near the end of the book to only, happily, realizing that I wasn't even half way though it. OMG I am so in love with Logan Clay. He is a sweet and amazing Rockstar. If you haven't read this book you should really read it now. When Caroline cried over Logan I cried with her. I had so many emotions during this book one minute I was happy, the next sad and at one point I felt like throwing my kindle across the room. Kindle meet wall. Anyway this is a rocker romance story about Logan and Caroline. They have a lot obstacles they have to overcome and a lot going on in there lives. I love Caro OMG I am so in love with Logan Clay. He is a sweet and amazing Rockstar. If you haven't read this book you should really read it now. When Caroline cried over Logan I cried with her. I had so many emotions during this book one minute I was happy, the next sad and at one point I felt like throwing my kindle across the room. Kindle meet wall. Anyway this is a rocker romance story about Logan and Caroline. They have a lot obstacles they have to overcome and a lot going on in there lives. I love Caroline's parents and all of the good advice they give her. Caroline tries her best to hide her feelings about everything. Logan has reasons he for way he can't give into Caroline. If you read Logan's Story it will help you understand Logan a lot more in this story. Sand and Clay is another amazing story by Sarah Robinson. This book kept me up until 3 AM reading it. Logan Clay is the rock superstar that appears to have it all. He doesn't realize what is missing in his life until he meets Caroline Sanders in the local coffee shop. She isn't fazed by who he is, and her sassy attitude intrigues him. He has to get to know her and he arranges for her to have front row tickets to his concert. Logan and Caroline connect but there's just one problem, Gina, his mana Sand and Clay is another amazing story by Sarah Robinson. This book kept me up until 3 AM reading it. Logan Clay is the rock superstar that appears to have it all. He doesn't realize what is missing in his life until he meets Caroline Sanders in the local coffee shop. She isn't fazed by who he is, and her sassy attitude intrigues him. He has to get to know her and he arranges for her to have front row tickets to his concert. Logan and Caroline connect but there's just one problem, Gina, his manager/girlfriend. Gina is no longer the woman she was when they met and Logan realizes he is no longer in love with her. She is cold and only cares about money and fame. Caroline is not "that kind of girl" and refuses to be the other woman. Logan leaves on a six-month tour with thoughts of his brief time with Caroline. If he leaves Gina, he could lose everything, but is it worth losing a chance at love? This is one of Sarah Robinson's first books. A love story of a young girl trying to be what everyone expects her to be and a Rock Star. Logan meets Caroline at her favorite coffee shop by chance. He was so intrigued with her he invited her and her friends to his sold out concert in Madison Square Garden. After the show she gets backstage passes, where she meets Logan again and he tells her he has feelings for her. Awesome, except his manager is also his girlfriend! I have to give Caroline credit, her morals overpowered her hormones.....she doesn't give in to Logan because she doesn't want to be the other girl. Most girls would have jumped the hot rocker in a New York minute! Omg 5 stars all the way!!!!! See I chose 5 stars because it won't let me give more!! I got completely caught up in this book. I finished it in about 2 hours. Once again Sarah transported me into her story and I was completely mesmerized. Sarah's writing is just so unpredictable. I read a lot of books and nearly always you just know what is going to happen, most ha ave a similar pattern and that's ok you continue to enjoy the book anyway. The way Sarah writes I never get that feeling of knowing ho Omg 5 stars all the way!!!!! This was my first time reading anything from this author and I can't recommend her enough. I absolutely loved the Sand/Clay story. Sarah draws you into the characters so well you actually feel like you're there on the outside looking in. Clay is definitely going down as one of my book boyfriends and I am so looking forward to reading the rock stars book which I will start tonight. This book makes you feel so many emotions and you feel yourself rooting for our heroine to get with the man who falls This was my first time reading anything from this author and I can't recommend her enough. I absolutely loved the Sand/Clay story. Sarah draws you into the characters so well you actually feel like you're there on the outside looking in. Sarah Robinson is a Top 10 Bestselling Author on Barnes & Noble and Top 25 on Amazon. Click on any of the links below to be taken to one of the social media sites! Author Website | Subscribe to Newsletter | Facebook | Twitter | Amazon Profile | Goodreads Profile | Tumblr | Instagram | Pi Sarah Robinson is a Top 10 Bestselling Author on Barnes & Noble and Top 25 on Amazon.